“Sanef condemns the harassment of an eNCA journalist by a VIP policeman guarding President Jacob Zuma while he was pursuing his election campaign,” chairman Mpumelelo Mkhabela said in a statement. He was reacting to an incident in Duduza, Ekurhuleni, on Friday where Zuma was conducting a house to house campaign. According to Mkhabela, the guard asked Bauer to delete the pictures but he refused. “When he refused, the phone was forcibly taken out of his hands and the guard deleted the images. He said the deletion of the pictures amounted to censorship, which was contrary to the Constitution and Police Standing Orders. Sanef would support Bauer in any further action he decided to take against the guards. The Sunday Times quoted African National Congress spokesman Keith Khoza as saying that it was up to the Gauteng traffic department to investigate why the party T-shirts were carried to the event in a state vehicle. Departmental spokesman Busaphi Nxumalo said that Premier Nomvula Mojonyane’s office had deployed the vehicle. A probe would be launched into the matter of a uniformed officer handing out political T-shirts, he said. 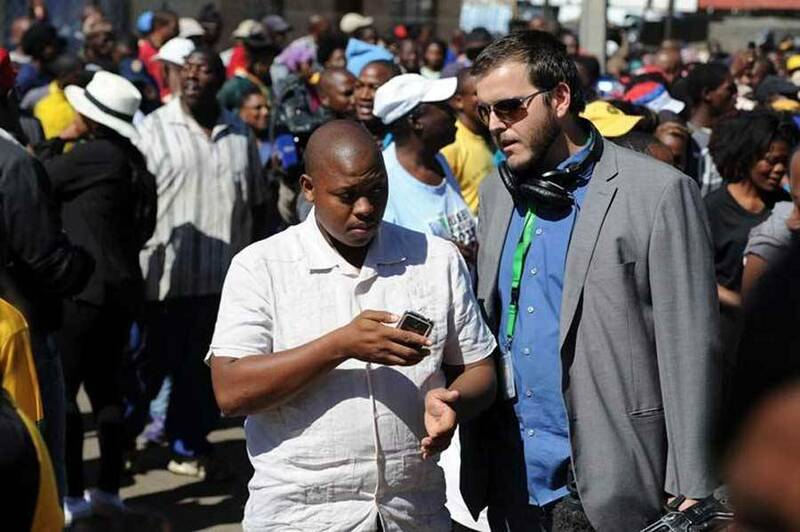 DUDUZA – An eNCA reporter was harassed earlier today by a member of the SAPS VIP protection services. 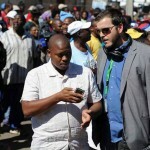 Nickolaus Bauer was covering the ANC campaigning in Duduza, Ekurhuleni, when he was confronted by a plain-clothed officer. The man objected to Bauer taking pictures of a Gauteng traffic vehicle being used to transport ANC T- shirts. Officers were seen handing the t-shirts from the cop car to ANC officials. The SAPS member demanded that Bauer delete the pictures on his cellphone. After refusing, the officer forcibly took the reporter’s phone, and deleted the pictures himself. Other journalists, meanwhile, photographed this action, while another bodyguard asked that the pictures be deleted, failure of which would result “in us giving you hell”. Bauer has said the matter will be taken further, to ensure this doesn’t happen to other journalists in the future.